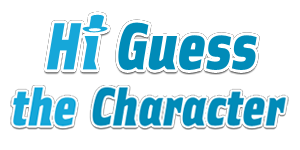 Hi Guess The Character Answers is your online reference source for every aspect of the mobile app, Hi Guess The Character. Check out each section for answers to every level, including. This site will be updated within 24 hours of any additional levels, so bookmark this page for help with future puzzles. Hi Guess The Character Answers | Hi Guess The Character Cheats This site is not endorsed by or affiliated with CamMax.